This is a lightweight cotton gauze that features metallic gold stars scattered overall. 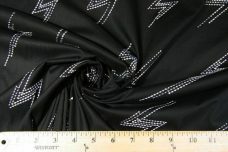 This fabric would be perfect for lightweight sheers, blouses, skirts, summer dresses, newborn photography, table coverings, children’s apparel, costumes, scarves, craft projects, etc. 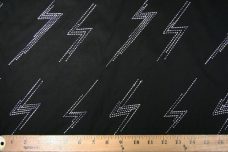 This fabric is also fairly sheer, so depending on the project lining is recommended.